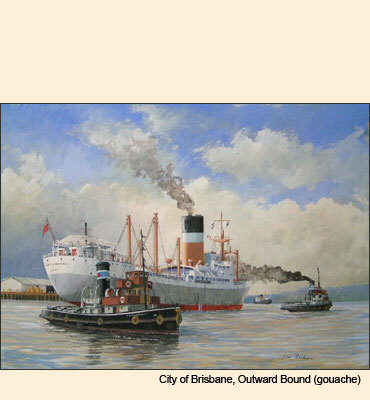 Don Braben FSMA is an internationally known marine artist based in Brisbane . Don paints many aspects of the sea, ships and docks, both historical and contemporary using oils, watercolours and acrylics. Please select a gallery from the menu on the left to view a wide selection of paintings reflecting the nautical theme.